Rooftop Designs - RoofTop Designs is dedicated to bringing quality home Improvement products to homeowners. RoofTop Designs is dedicated to bringing quality home Improvement products to homeowners. RoofTop Designs is dedicated to bringing quality home Improvement products to homeowners. Whether it was windows to help enhance the beauty and efficiency of a home, new siding to restore or enhance the outside look of a home, or a durable roof to protect one of our most valued possessions, I have made a commitment to serve the Washington, D.C. area community with superior products at affordable prices. The owner and founder of Rooftop Designs, Yanni Avramidis, had the honor to serve as Vice President at one of the top home Improvement companies in the D.C. metro area. 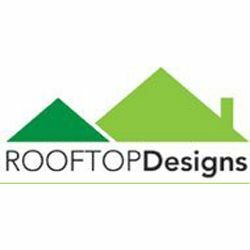 RoofTop Designs has now been serving this community for almost a decade. Yanni brings his years of experience in the home improvement industry, and dedication to quality service to the table to make Rooftop Designs one of the leading roofing companies in the DC metro area. At Rooftop Designs we are devoted to the needs of our customers. With a broad selection of products and services, we can customize your order and offer a solution to fit your individual needs. Custom Craftsmanship for your Home. WeatherMaster Windows provides quality replacement windows for residential and commercial installation projects in Maryland and Northern Virginia. Our licensed and insured roofers have over 20 years of experience in home improvement and specialize in residential roofing contracting. We service residents in Rockville and throughout Maryland.